What sets 1Password apart from other password management apps is the huge amount of features it offers. Although many can only be accessed with one of the paid subscription options, there is a 30-day free trial available to all users who want to try them out first. Couple that with strong customer support options even for non-subscribed users, and you have one of the best all-around password manager packages available. 1Password is an easy and effective way of managing a variety of profiles and account login information. You can sign up for the service online which is simple enough and that will also give you access to 30 days of free password protection before you have to commit to a one-year subscription. Once you’ve signed up, 1Password will automatically generate an account key for you to use to set up the rest of the service. With your account key to hand, you can now create your master password. As this is going to be the key to accessing all your other accounts and details, you need it to be memorable but difficult to deduce. Once you have these two vital bits of information, you’re ready to start setting up 1Password on whatever apps you wish to use it on. If you’re using a range of different devices and operating systems, this may sound like a lot of hard work, but 1Password makes it simple by providing a QR code that will complete all the necessary information, bar your master password. Once activated, your device is not only password protected, so that anyone trying to access your smartphone or laptop would be thwarted, but you can also use 1Password to deactivate stolen devices and ensure your data stays safe. If you have passwords stored elsewhere, such as Chrome or certain other password managers, like LastPass or RoboForm, you can import the information directly. To transfer data from other programs, you may have to export the information into a CSV file and then import it from there. Although the options for importing passwords from other applications is somewhat limited in 1Password, it’s otherwise a very user-friendly piece of software that’s easy to install, setup and operate. 1Password takes a three-pronged approach to security, using a combination of encryption, transparency and additional features to keep your data completely safe. By utilizing an AES-256 bit encryption code, 1Password makes it impossible for anyone to decipher your information, whether in transit or storage. To make your data even more difficult to access, your master password is never saved in the same place as your other information, nor is it transmitted or shared over the network, ensuring it’s never intercepted. Obviously, the better your master password, the safer your information but, to make things easier for you and harder for the hacker, 1Password also uses PBKDF2 for key derivation which makes it almost impossible for anyone to guess at or crack your master password. Encryption is the foundation of 1Password’s security but is by no means the complete picture and the service has an abundance of features designed to keep your data safe and sound. For example, you can set 1Password to lock automatically so no one can sneak a peek at your passwords while you’re away from your desk. It will also ensure that any passwords copied are automatically removed from your clipboard so they can’t be copied or stolen later in the day. There are several other impressive features available with 1Password that we’ll explore a little later in this review but one of the main ones pertaining to security is its Secret Key or Account Key which works in conjunction with your master password to keep prying eyes out. 1Password came in for some criticism a couple of years ago after it moved from a local storage structure to cloud storage but, for most users, this is a more preferable option as it means you can still access your passwords even if your device is stolen. In an effort to convince the Doubting Thomases out there, 1Password has had a series of security audits done over the years, all of which are available online. According to 1Password, you can’t have the level of security described above without respecting user privacy, and the nature of their security protocols means that your privacy is protected at the same time. For one, 1Password never actually have access to your master password, so the company itself can never actually access your data. As it can’t be accessed, it means you don’t have to place so much trust in the provider. Similarly, as neither your secret key nor your master password is shared online, they both remain completely secure. Additional features that protect your privacy include the Watchtower feature which will alert you to any compromised websites or vulnerable passwords so you can deal with the problem immediately and minimize risk. 1Password’s standalone vaults also mean that your data is yours alone and 1Password don’t even know how many items you have stored in your vault, let alone any further information regarding its nature. Overall, 1Password’s privacy is a good as any of its rivals and is designed to ensure that your data is always in your hands and no one else’s. This feature-rich password manager offers much more than just privacy and security. As we mentioned earlier, 1Password provides clipboard management and auto-lock features which both help to boost security, but this is the just the start of what it has to offer. The code signature validation feature ensures that you only enter sensitive data once 1Password has verified that your browser is uncompromised and working effectively. Watchtower is probably one of the best features of 1Password and alerts you to a range of vulnerabilities, from hacked websites to those that offer two-factor authentication but where you haven’t yet activated it. Watchtower will also let you know if there are passwords that you’ve used repeatedly and are therefore no longer as effective as they once were. 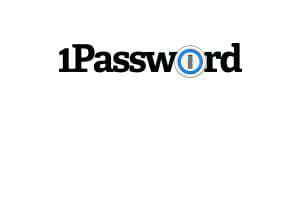 1Password also makes the process of synchronizing your password data across all your devices extremely simple which is convenient if you use a lot of different gadgets. If you have an Apple Watch, for example, you can install 1Password so it travels with you wherever you go, keeping your credit card details and home security systems close to hand but safe from prying eyes. 1Password ensures your login details remain impervious to phishing attempts by filling in your passwords only on those sites they were originally saved. You also have to give your consent before 1Password will auto-fill forms or enter data. With biometric access available on iOS and Android, 1Password is much more than just a strong password generator and gives you complete control over your data with its intuitive user interface, as well as complete security. While many password managers offer limited free versions, 1Password has never gone for that option, although it does have a 30-day money-back guarantee which gives potential users the opportunity to test the service for a month before committing to a subscription. Pricing in this field varies considerably, with some password management software costing nothing at all and others setting users backup to $60 a year. Unfortunately, 1Password is at the higher end of the scale when it comes to pricing, especially if you want to cover a range of devices. Having said that, what price would you put on securing data, and isn’t it better to invest in a product you can rely on, rather than saving a few dollars and opting for a less reliable alternative? If you opt for the most basic package available from 1Password, you’ll get a choice of apps compatible with a wide range of platforms and devices, as well as unlimited passwords and 1GB of storage space. You can even move your vaults across national borders safely using the Travel Mode. The next pricing tier gives you the same protection but for your whole family, rather than just yourself, and gives you the added bonus of being able to share notes and passwords and manage your children’s accounts. Some things aren’t worth leaving to chance and your online security is one of them, so rather than skimping on your password manager, you can save yourself the worry of losing sensitive data by investing in a reliable product like 1Password. 1Password’s website has a clean design that makes finding your way around a pleasurable breeze. With the installation, setup, and day-to-day processes being extremely smooth and straightforward, you shouldn’t need to troubleshoot on a regular basis but, should you experience any difficulties, resolving them is a piece of cake. 1Password’s online support section gives you the options of searching for a specific topic, reading tutorials on a specific app, or reading their popular articles. You can also pop along to YouTube where a selection of videos gives helpful tips on getting started. Should you be unable to resolve your issues using the online support available, you can get in touch with the 1Password team via a number of social media platforms. You can also contact them on Twitter or email, or use the most efficient form of communication – the online forum, although you do have to be registered to use this feature. While 1Password doesn’t have a live chat option on its website, few of its rivals support such a feature and, in comparison with the likes of Dashlane, for example, its online support is both comprehensive and easy to navigate, while the contact options are also easily located and utilized.